With Easter on the horizon many of us like to decorate our homes. 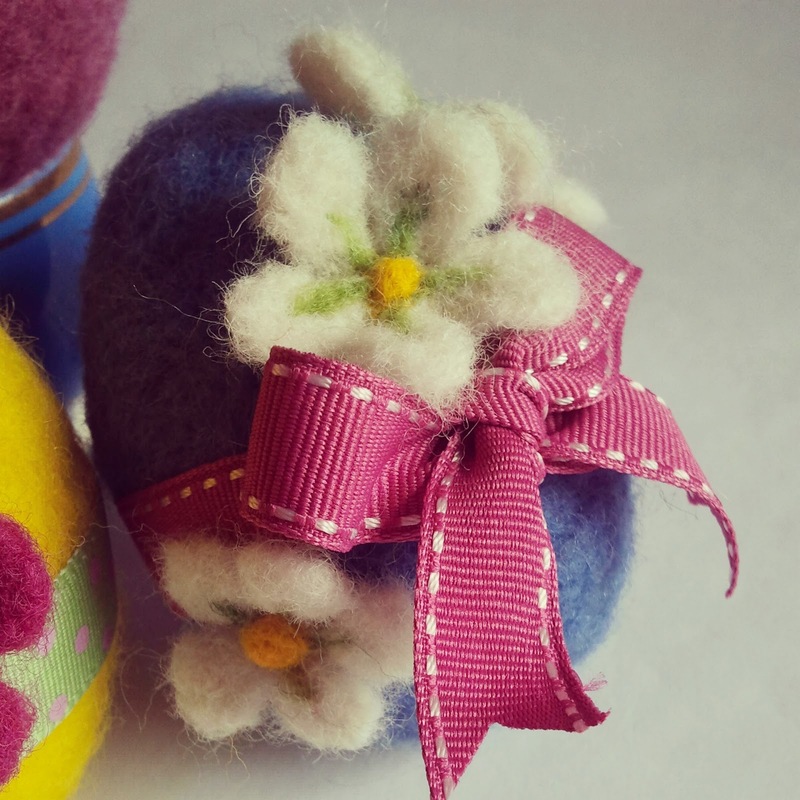 Why not have a go at needle felting these beautiful Easter eggs. 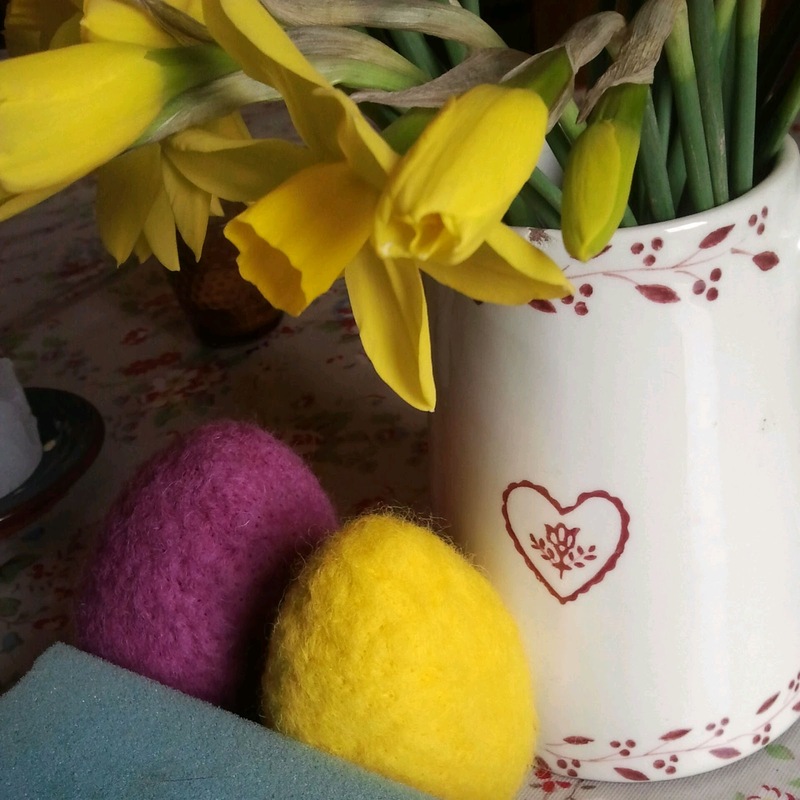 ..make sure it has been covered so you cant see any of the white and you have a lovely felted look on the egg. ...add the detail to the centre keeping it simple. 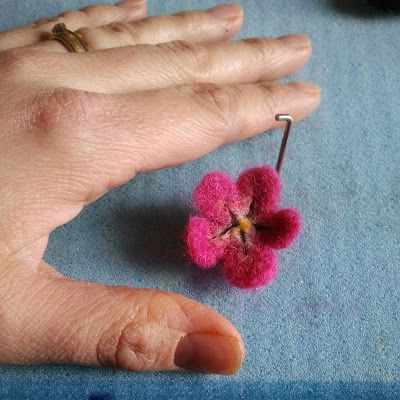 Ive made the flowers quite small, as you can see they are weenie in the photo below! 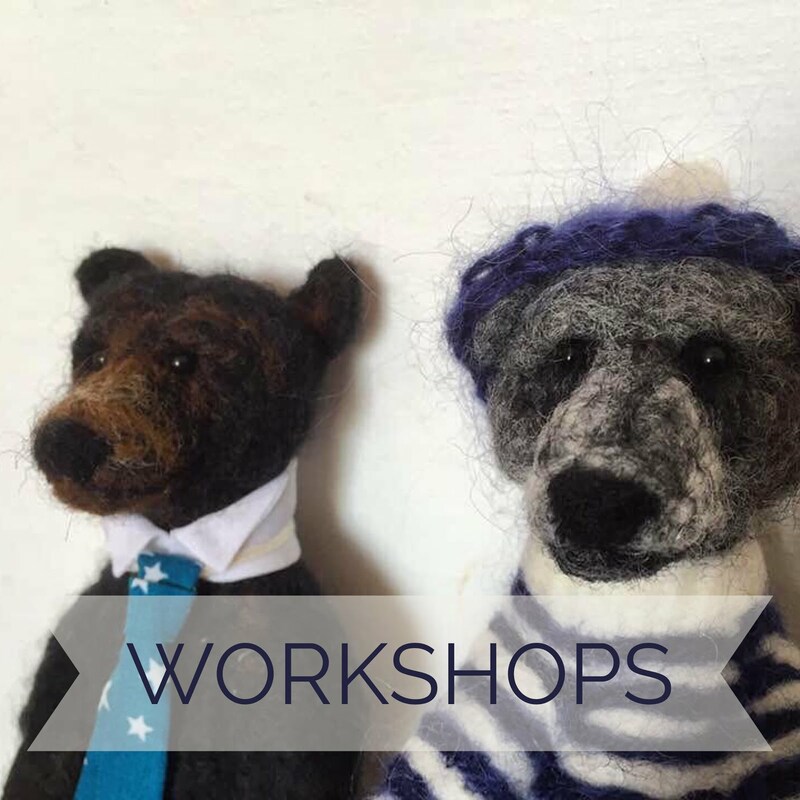 Have fun making all sorts of flowers, Pansies, Forget-me-nots, Primulas, the choice is endless! Then tie some beautiful ribbon around the middle of the egg and finish it off into a sweet bow, Ive used various ribbons from the lovely collections Jane Means has on her website. 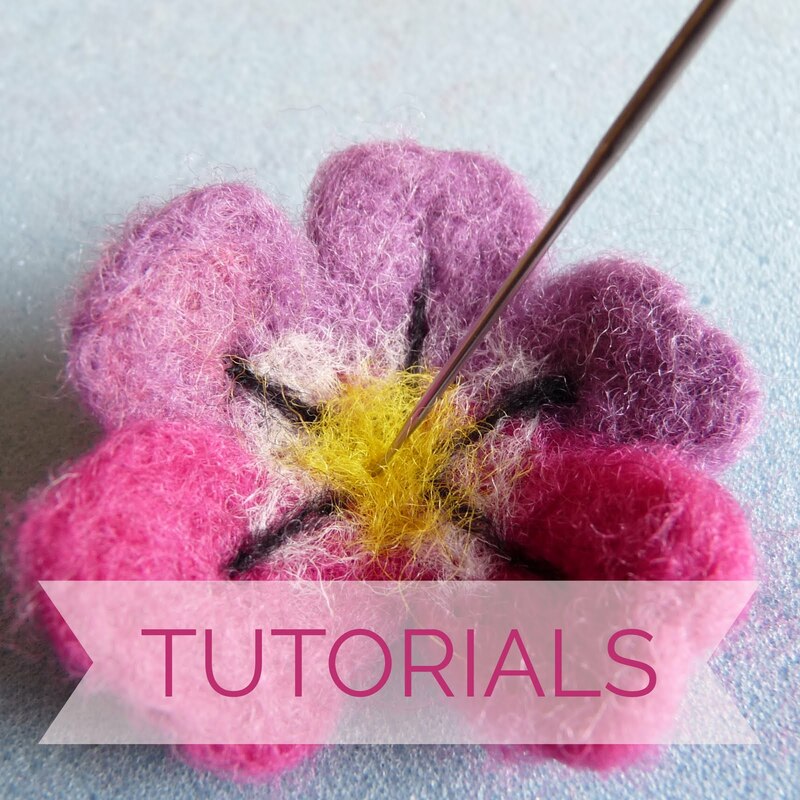 Attach the flowers by needle felting them straight on to the egg, they should stay on quite well if you use the needle in the centre of the flower. 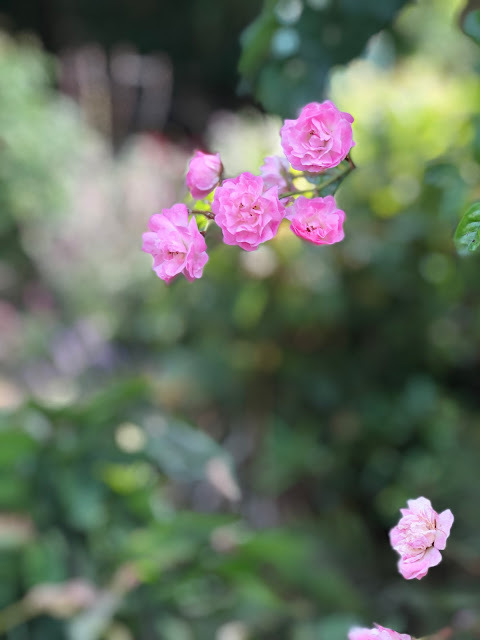 Pretty and very simple yet gorgeous! The yellow egg above has a pretty pastel 15mm Peppermint with Pink Dot Grosgrain ribbon which contrasts really well with the yellow. 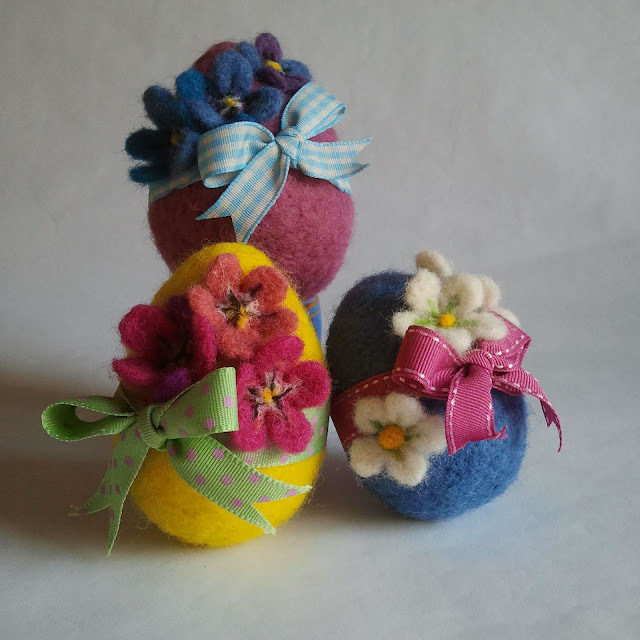 This blue egg needed a vibrant Rasberry Stitched Grosgain ribbon, again I used the 15mm. It gives it a little lift to accentuate the little white flowers. This Blue Gingham 15mm ribbon sits beautifully around the subtle colours in the egg above. ...the temptation to eat them would be impossible! 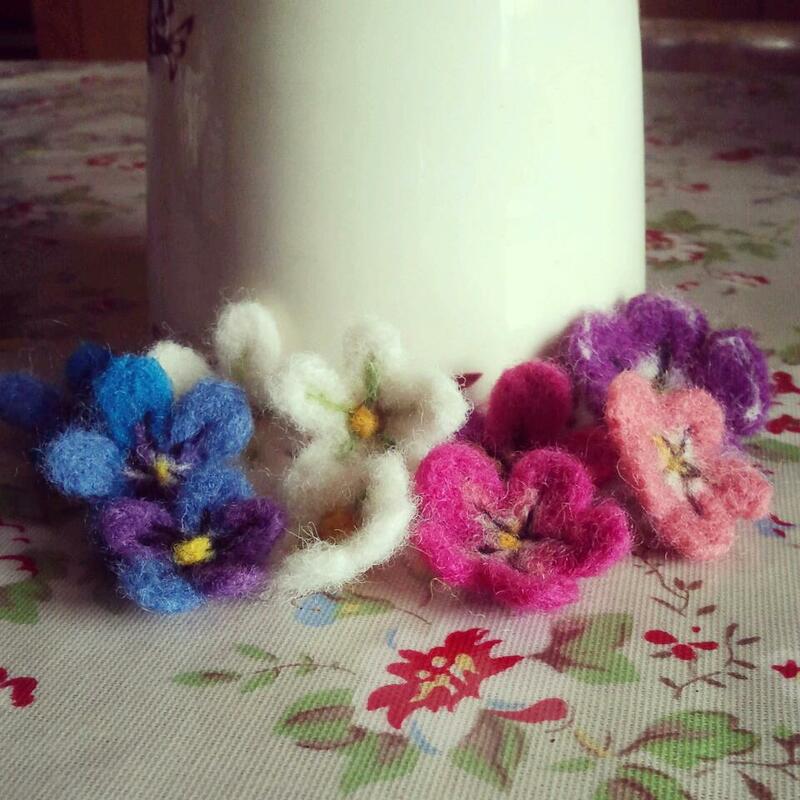 They are so beautiful- would definitely make a lovely Easter table decoration. they are beautiful - absolutely gorgeous, I am so impressed! How lovely, thank you for sharing. I think I may have a go. 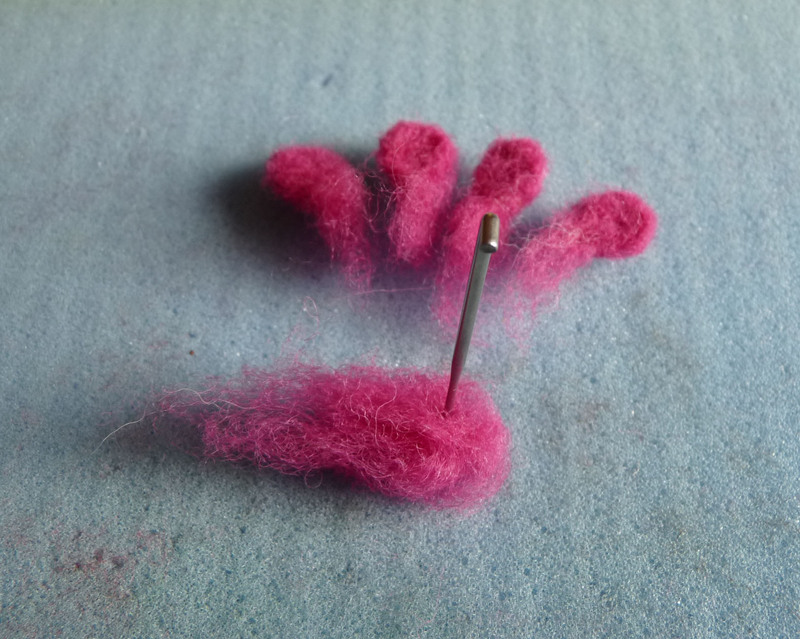 First time felter... How far do you push the needle into the polystyrene egg? I have done a little felting on a mat, like an upside down hairbrush, not sure how to go about this on the egg. I have several multi needle tools and some individual needles as well. Can you advise? Thanks. These are adorable and fantastic photos too. Happy Easter! I find these inspiring. 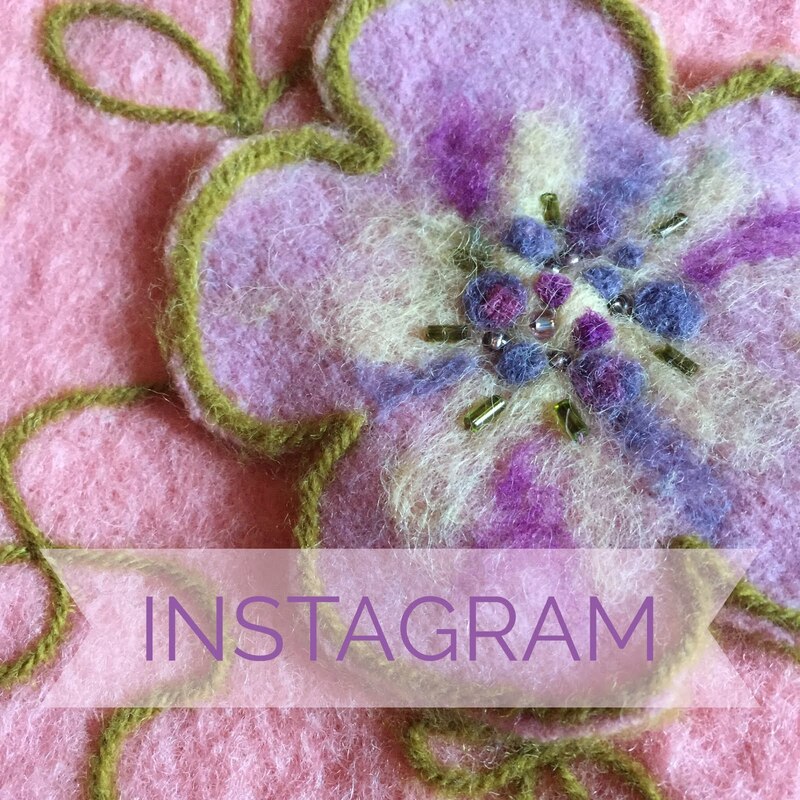 I've just really started to get into felting -- these make my heart sing!